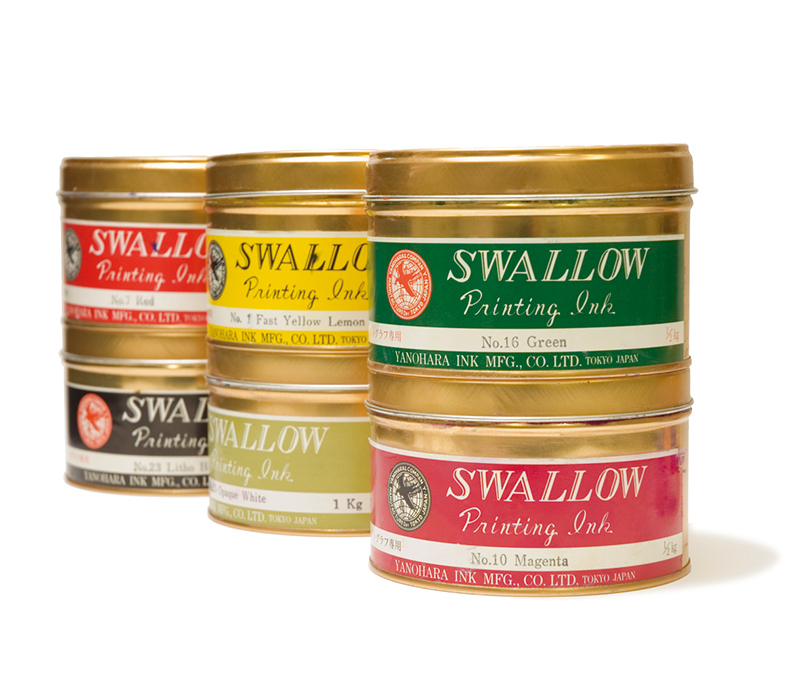 The printing ink used for lithographs is made by combining linseed oil with pigments. There is another type of printing ink, a fast-drying type made from resin that is used in offset printing, but it is best not to use this ink by itself when printing lithographs. Because some of these inks do produce vivid colors, they can be used by mixing a small amount into the linseed oil-based ink. 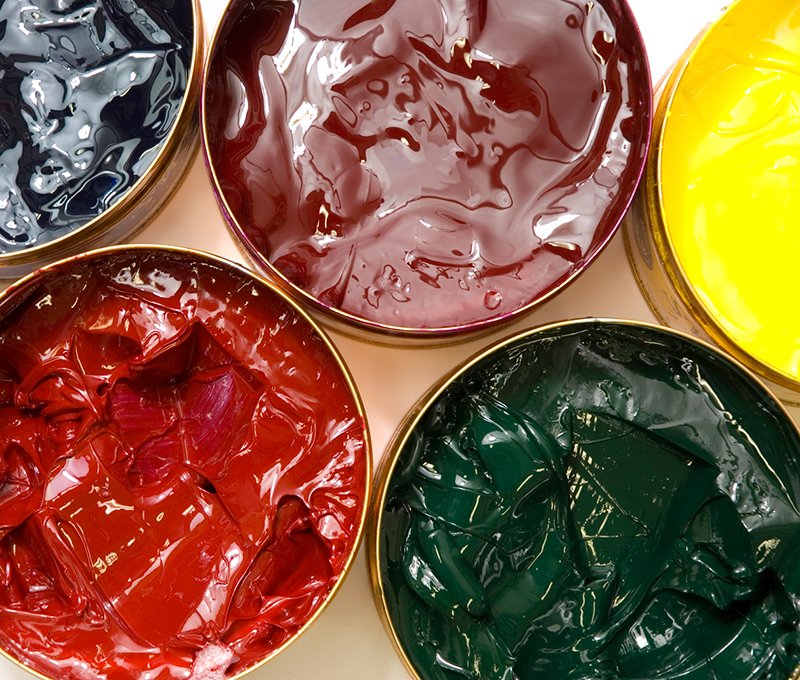 In order to adjust the thickness of printing ink, one may mix it with varnish (linseed oil). Also, in the summer, when the ambient temperature rises, the viscosity of the ink may decrease; in that case, a small amount of magnesium carbonate or particularly viscous varnish may be added to thicken the ink and increase its viscosity. One may also adjust the transparency of the ink by mixing in a transparent medium. Using too much of this sort of medium may result in changes to or fading of the original color. When using printing ink, the ink is spread thoroughly on the ink table. Once any foreign objects and hardened ink have been removed, the ink is applied uniformly to the roller and then from there to the printing surface. In order to accelerate the drying process for materials once they have been printed, an ink dryer additive may be mixed into the ink; be careful not to add the wrong amount, however, as this may result in cracks, discoloration, or fading of the ink. Ink can be purchased at art supply stores that carry printmaking supplies.